A quarter-century ago, UBC and the Workers’ Compensation Board saw the need to improve the safety and health of workers in British Columbia, many of them employed in the forestry and oil and gas industries. Solutions to workplace hazards and knowledge about the health effects, they agreed, should come from professionals with specialized training in occupational hygiene, rare in Canada at the time. A $3 million contribution from the WCB was matched by the provincial government and, in 1990, $6 million was endowed at UBC to establish Western Canada’s only graduate-level training program in the practice of occupational hygiene. 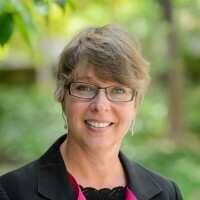 “That initial investment attracted interest in the good work happening at UBC and became the cornerstone from which other activities in occupational and environmental health have evolved,” says Mieke Koehoorn, Professor and Head of the Division of Occupational and Environmental Health, the current home of the Master of Science in Occupational and Environmental Hygiene, a PhD program and an active research program. 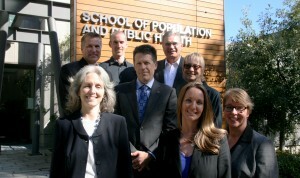 In the past five years alone, the division’s 11 interdisciplinary faculty members have published nearly 500 peer-reviewed journal articles on occupational and environmental health issues and leveraged nearly $30 million in external funding to conduct research that addresses the need for evidence in the field. Over the years, the program has made important contributions to the health and safety of workplaces and communities across Canada. For example, their research has informed compensation policy for people with mesothelioma who were exposed to asbestos at work. They also developed methods for determining what factors increased or decreased hazardous exposures in industries such as forestry, oil and gas, health care and transportation. Graduates of the program are quickly hired into leadership positions in occupational health and safety for industry and regulators such as WorkSafeBC, and as consultants, medical professionals and academics in BC and across Canada. 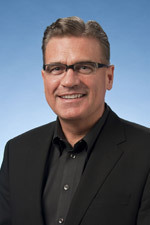 One of the program’s alumni, Quinn Danyluk, is the Managing Consultant for Safety and Prevention at Fraser Health, where he developed evidence-based programs to protect health care personnel during infectious disease outbreaks and to evaluate chemical exposure and clean-up materials in toxic spills – programs that have been implemented in health authorities across BC. Looking to the future, the Division of Occupational and Environmental Health aims to extend its curriculum into other disciplines such as engineering and business, launch an occupational medicine program, and adapt to the province’s evolving needs in occupational safety and health as the population and industry continue to grow.